There is an old adage that when it comes to system implementations rubbish data in equals rubbish data out. To guarantee maximum performance from your target system you must ensure that the accuracy and integrity of your data being migrated is of the right standard. 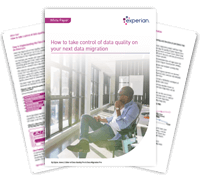 An active data quality strategy on your next data migration can not only increase the likelihood of project success but improve stakeholder perception and adoption as well.